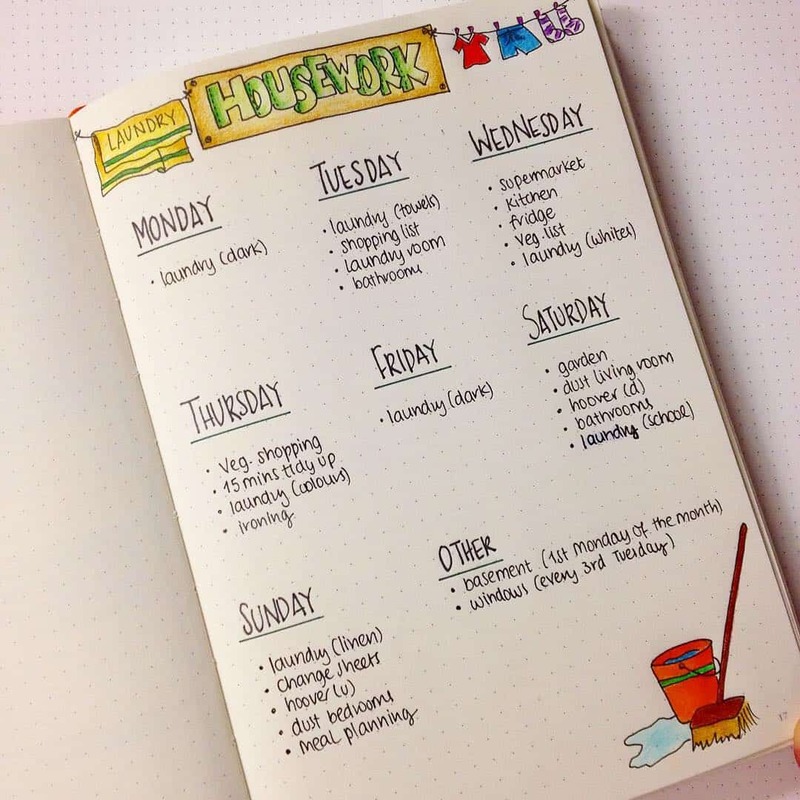 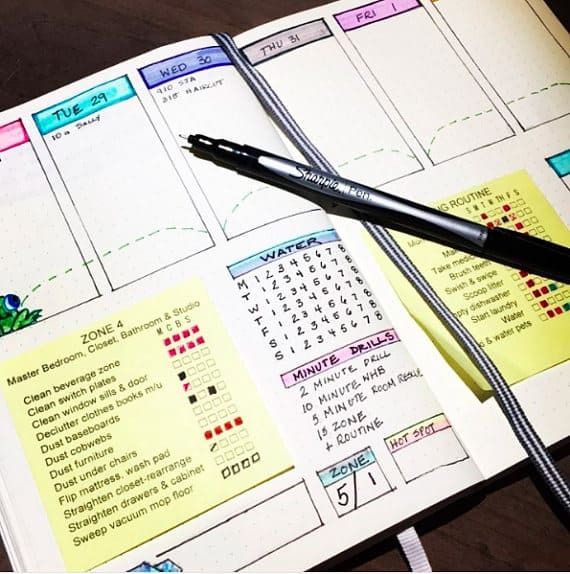 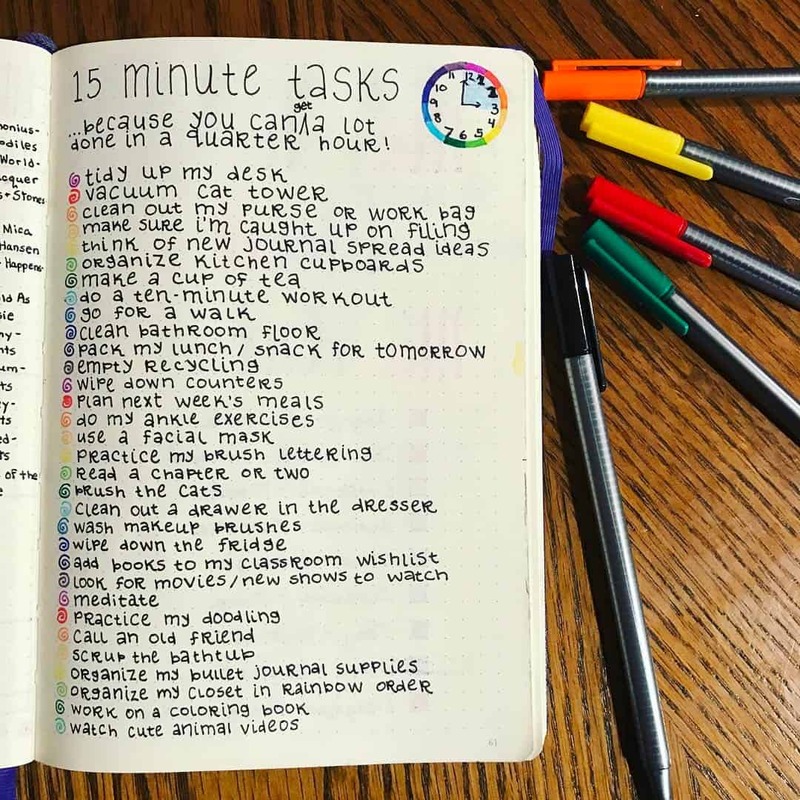 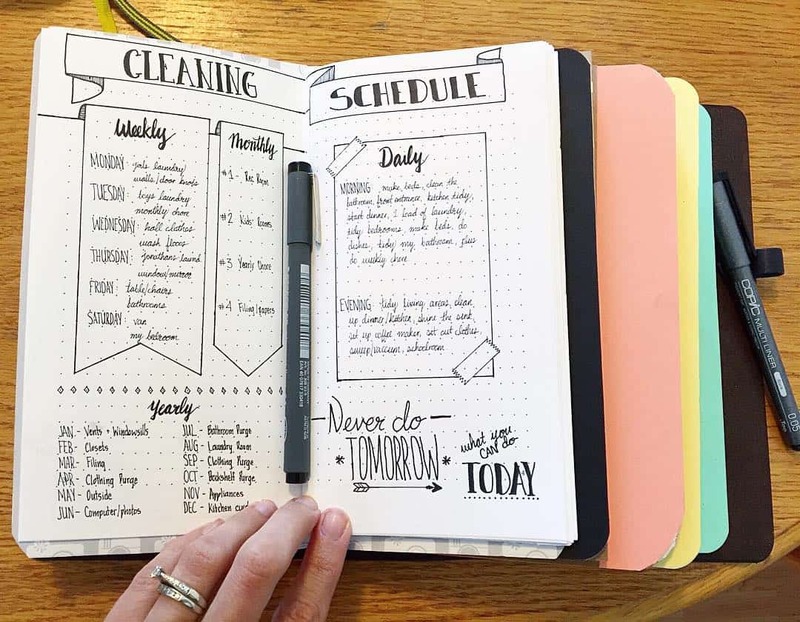 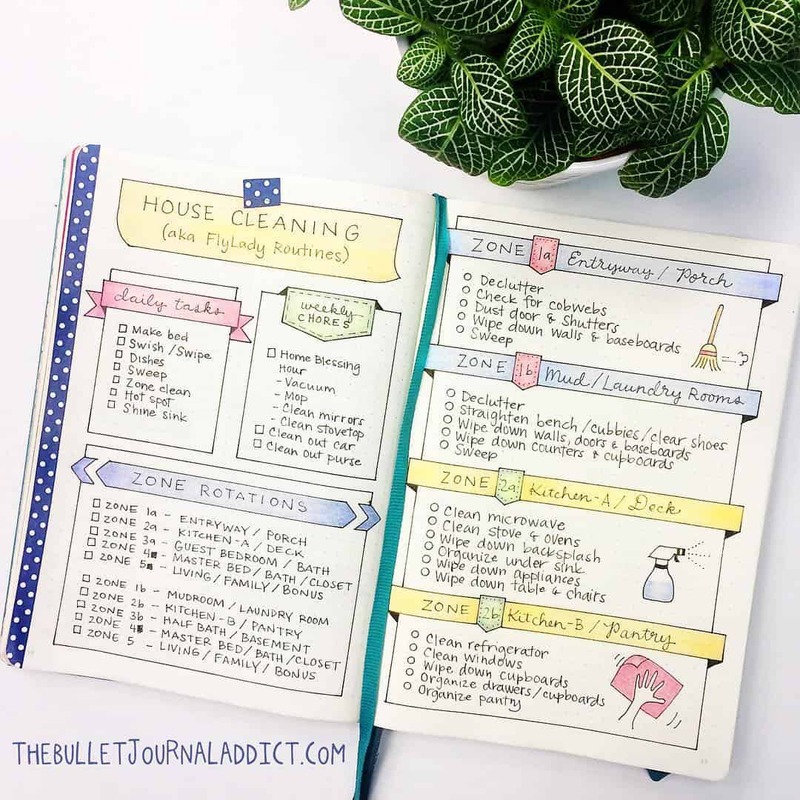 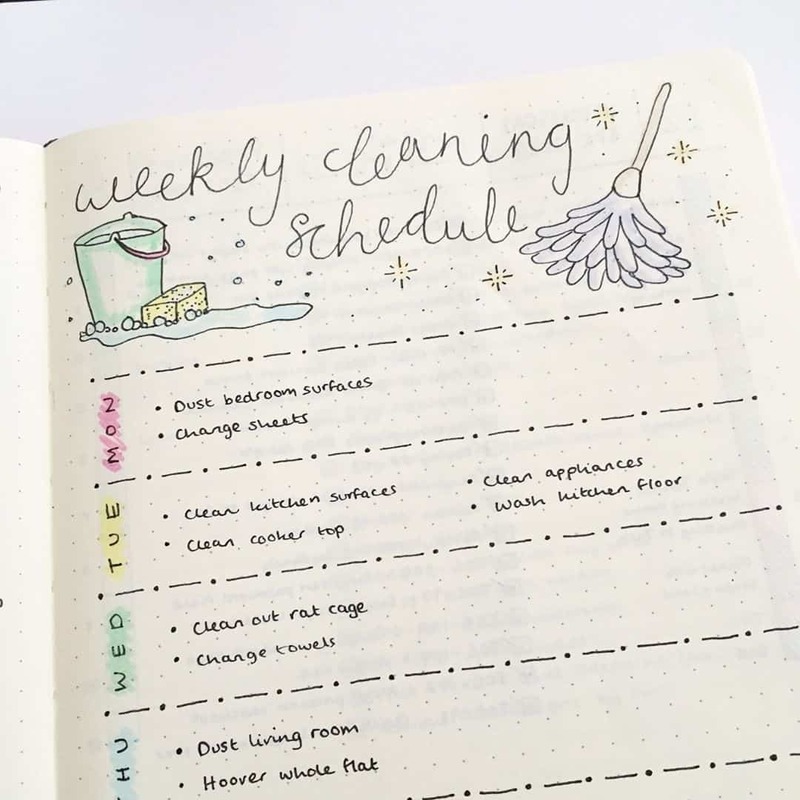 If you struggle to keep your home clean and tidy you’re going to love today’s Bullet Journal cleaning schedules. 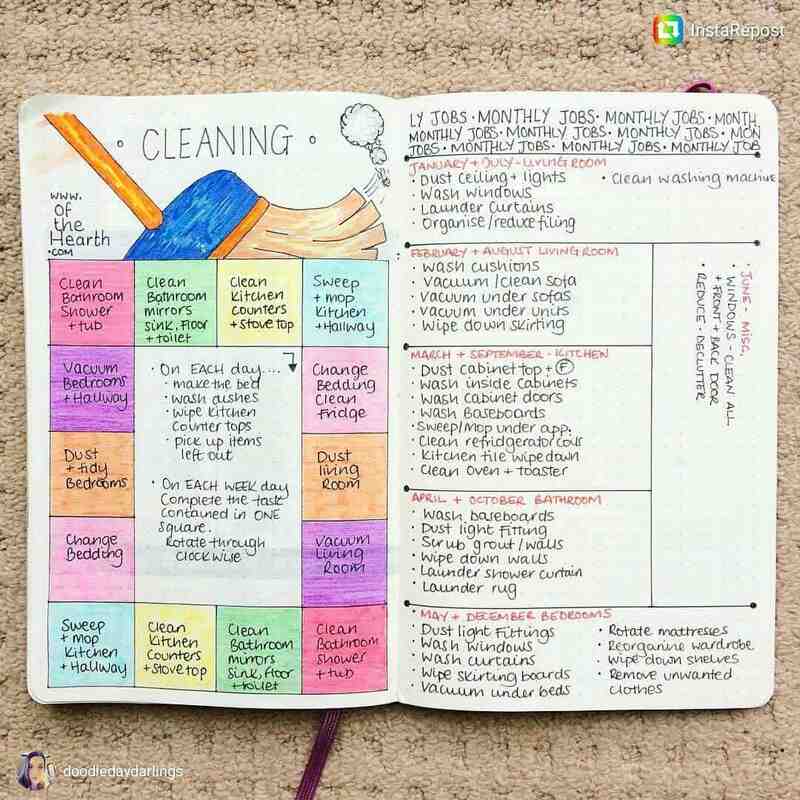 Pick out the spread that you love the most and stay on top of the chores once and for all! 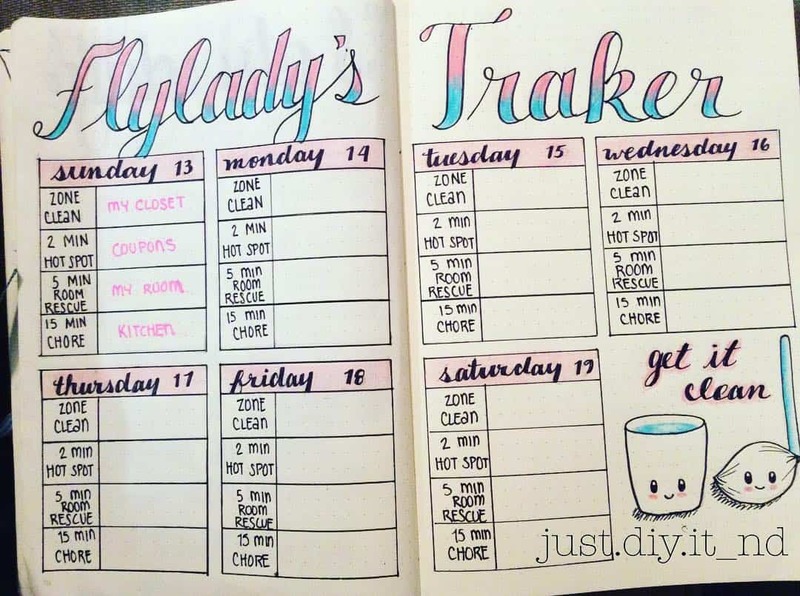 It’s time for another Bullet Journal Tracker collection. 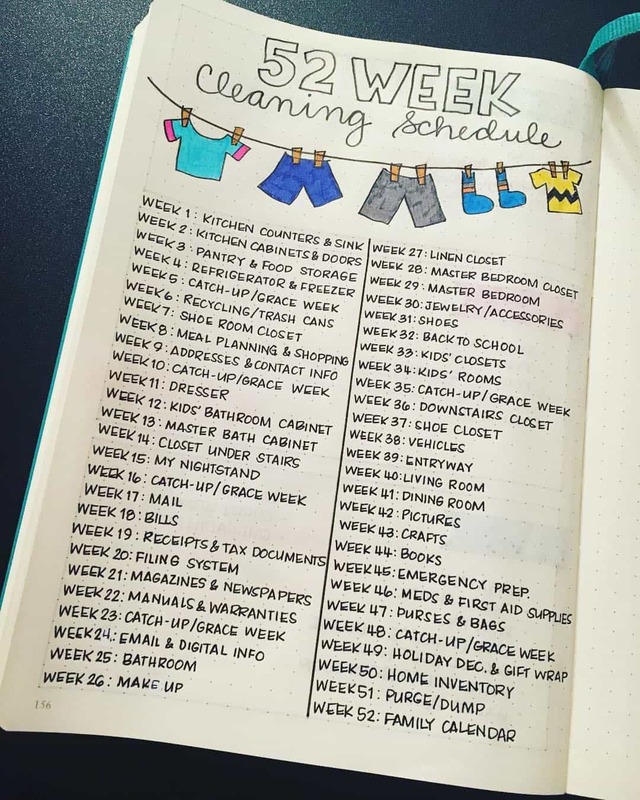 And today we’re all about keeping on top of the household chores! 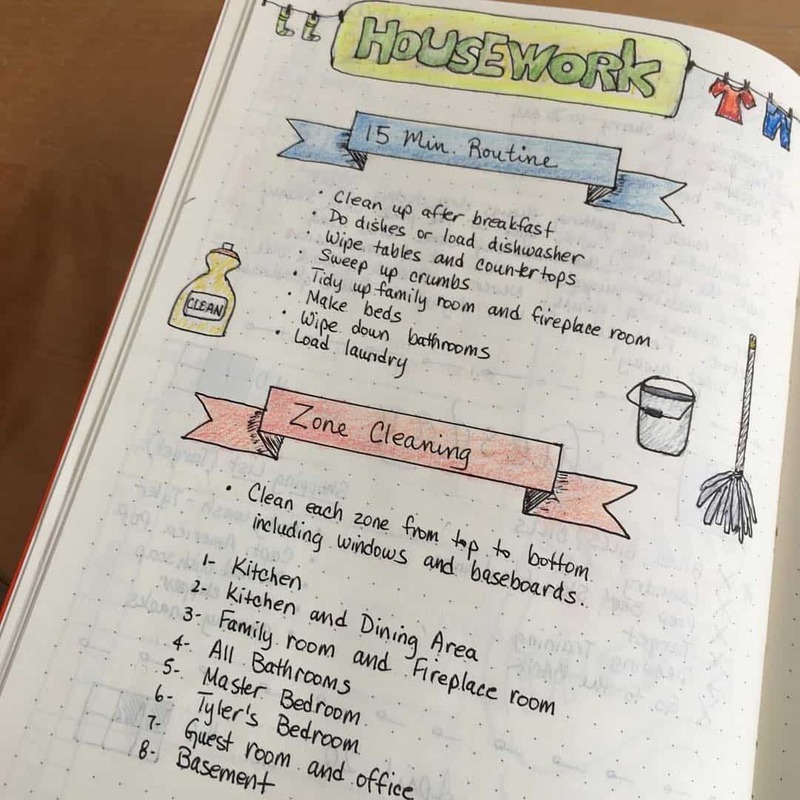 Do you sometimes feel that trying to keep your house clean and tidy is like trying to stop a roaring tide? 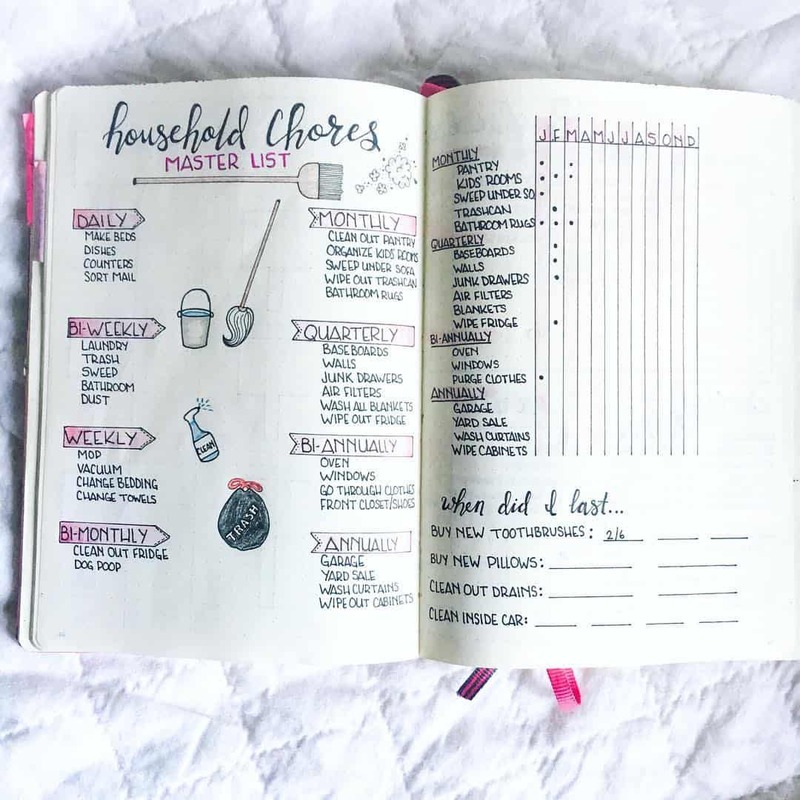 Just when you finish folding and putting away that clean laundry you turn around and the basket is overflowing all over again! 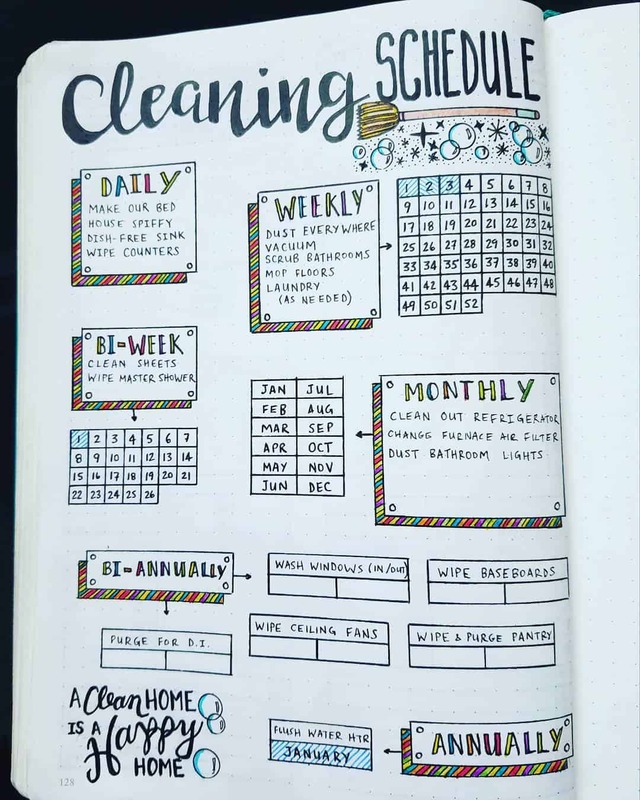 Your home did not get dirty in one day, and it will not get clean in a day, either. 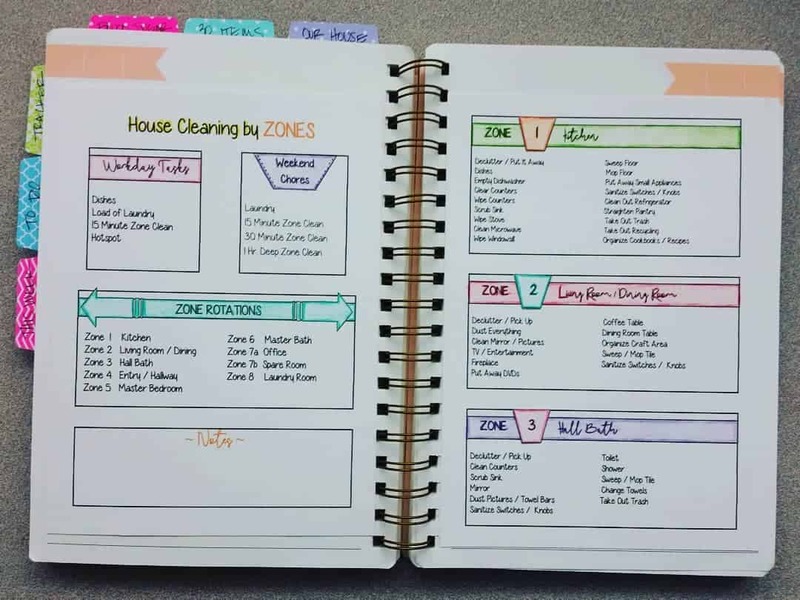 She’s all about taking BabySteps, and breaking your house up into zones to make keeping it clean a lot more manageable. 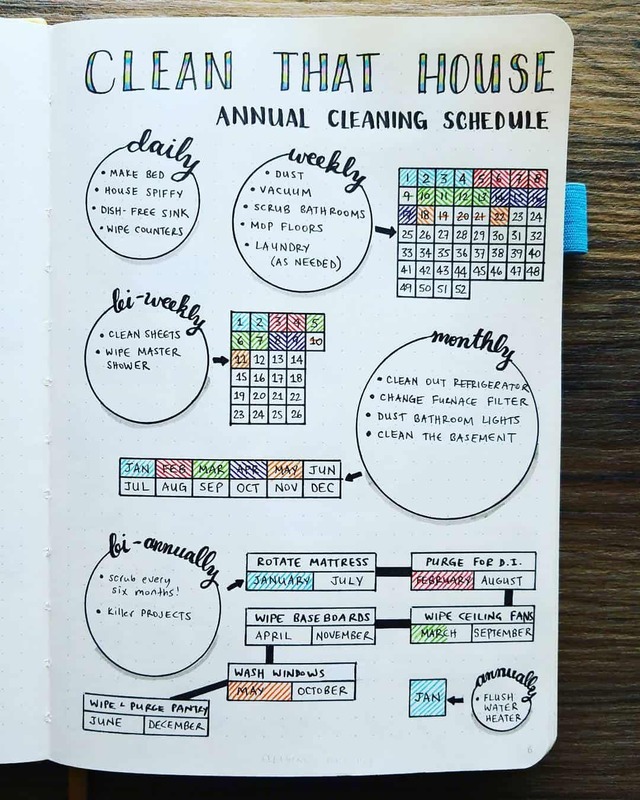 So today I’ve been searching for bullet journal cleaning schedules to help us get our houses back in order. 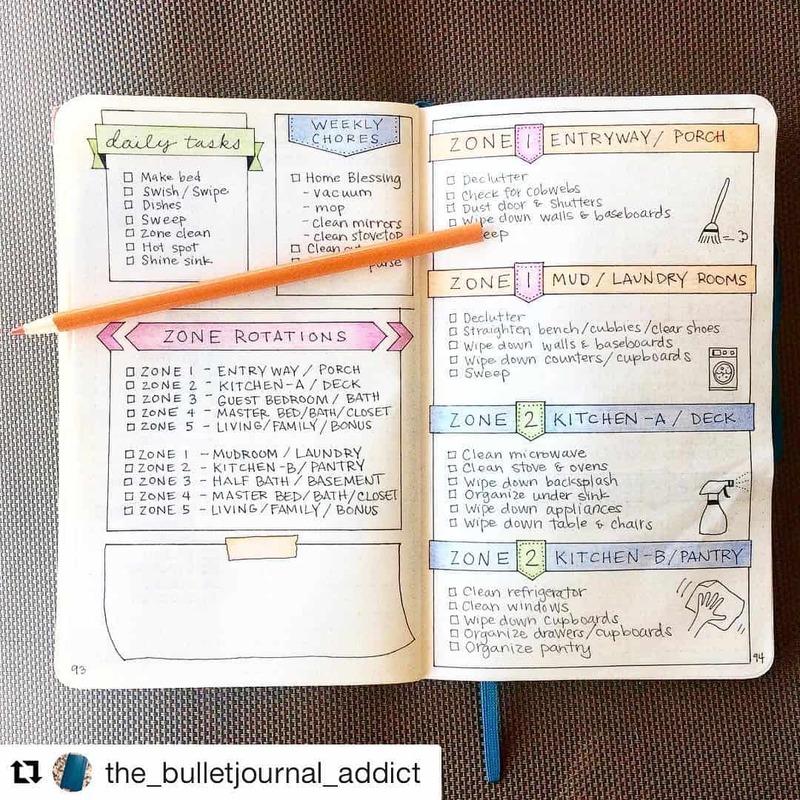 Take a scroll through the list and be sure to save your favourites to your bullet journal Pinterest board so you can find them again later! 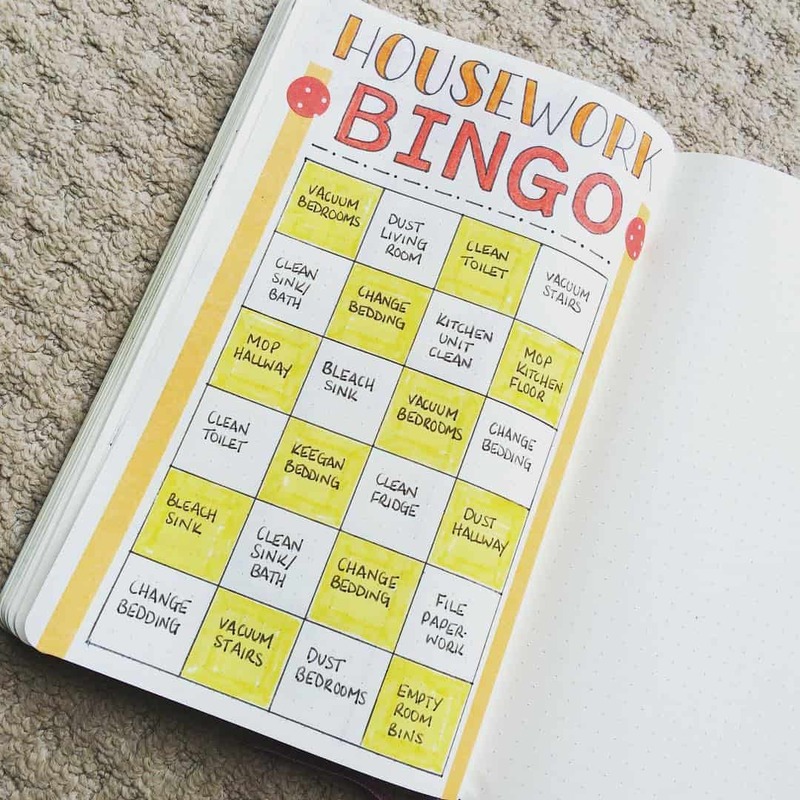 You can download this digital printable over on Elle and Annie’s Etsy store. 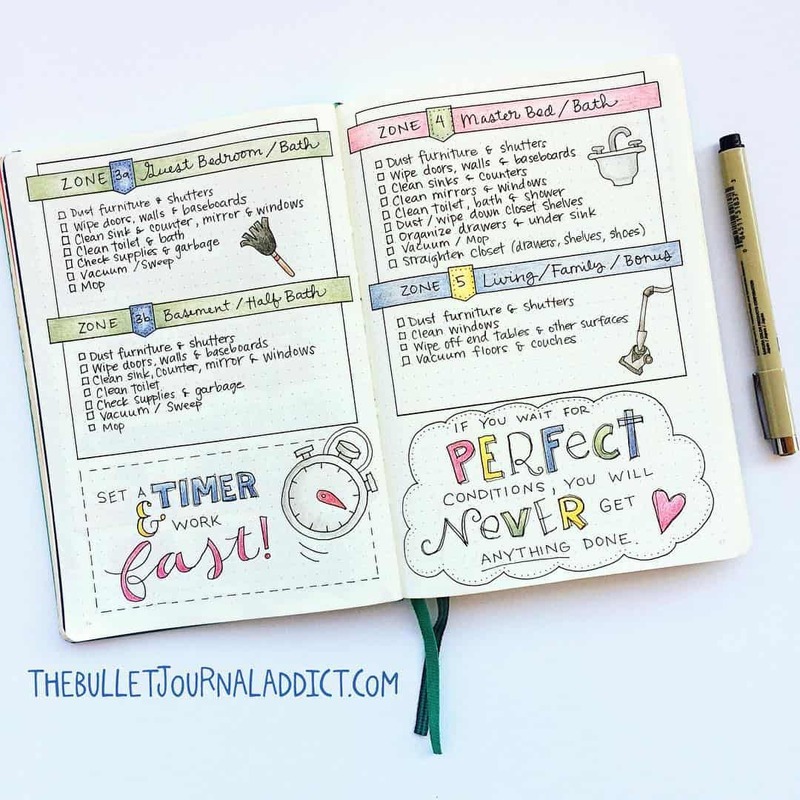 You can browse Amy’s fabulous planner printables over on her Etsy store.